OLD PARKED CARS. 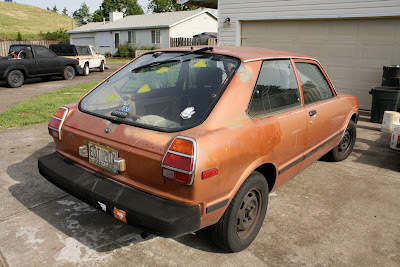 : 1981 Toyota Tercel Hatchback. Cool little Tercel. Especially the coupes, you don't see to many of these still rolling around. Most have rsuted away and this appears to be a pretty clean example. What's that truck in the background? I registered just to tell you that I really like this blog. This is the Tercel body shape I like most. The proportions of the limousine, especially the 4 door sedan always seemed weird to me but this hatch thing is really cute. 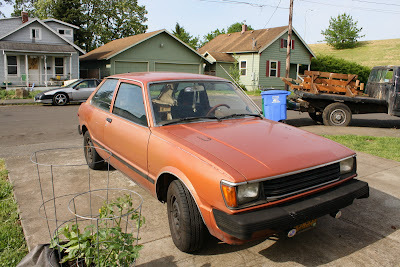 I think the full name of these was the Toyota Corolla Tercel (or maybe those were swapped). Totaled one identical to this in 1986, about 10 days after getting my license. 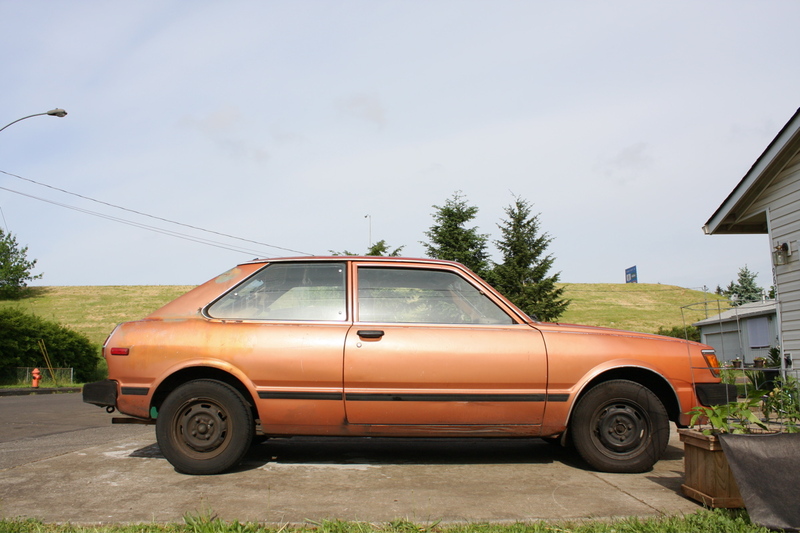 dead_elvis is correct, it was badged the "Toyota Corolla Tercel" until the 1982 model year.